Sadio Mane has denied quotes linking back to him surrounding Liverpool’s chances of winning the Premier League title this season. The forward had supposedly played down doubts over the Reds’ title credentials and expressed his confidence that the team would beat Manchester City to the top spot. The falsified story was predominantly sourced from Sky Sports, who now appear to have removed the article in question. 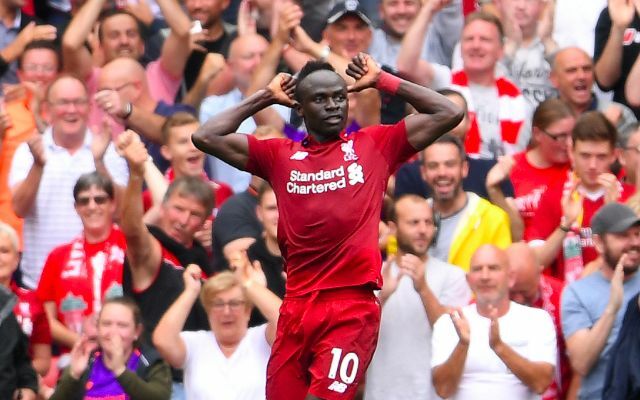 Mane has been left furious and is insistent that the quotes, seemingly originating from The S*n, are fake, according the Liverpool Echo’s James Pearce. Whilst aspects of the comments, if true, would have displayed an admirable self-belief and winning mentality, for Mane to adopt such a stance would have marked an uncharacteristic step aside from Liverpool’s grounded approach. Granted, Dejan Lovren has made bold statements of his own in the past, but any trepidation over the Croatian doing so is arguably down to the trend of back luck that has followed on for him at times. This arrives as an untimely disruption for both Mane and Liverpool as they continue their preparations for Saturday’s league clash at home to Crystal Palace.